Back in 1984 the new top 5 was unveiled to the public at lunchtime on a Tuesday. Then the host of the Radio 1 Breakfast show would run through the new entries and the highest climbers the following morning. 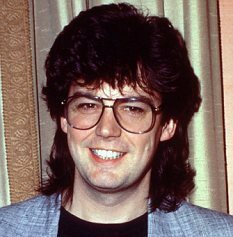 30 years ago today, on Wednesday January 11, 1984, Mike Read took the needle off the highest climber while it was still playing. He declared the song obscene and he vowed never to play it again. The band was Frankie Goes To Hollywood. Their filthy first release was called “Relax”. Two weeks later it was No. 1. Twelve months later it was still on the charts, the longest lasting hit since the original Frankie sang “My Way”. The power of “Relax” to shock has waned over the years although the video is still super-pervy. I’ll revisit the subject of FGTH throughout this year but it’s worth commemorating the 30th anniversary of the original controversy. Make sure the kids are all asleep and then get a load of this. We just got back from watching Saving Mr. Banks. As expected, I wept like an orphaned child throughout. Emma Thompson was brittle and delicious, Hanks was dependable, but nothing like as good as he was in Captain Phillips. There must be something about movies with writers and their sad histories. I loved this as much as I loved Finding Neverland, a fine movie about J. M. Barrie and the birth of Peter Pan. How wonderful to read what an important influence on Mrs. Travers Barrie’s creation had been. And even more wonderful to find out that the first publisher of Mary Poppins was Peter Llewelyn Davies, Barrie’s adopted son and the original model for the boy that never grew up. I finished Harvest by Jim Crace last night. Previously I had read two novels by Jim Crace. I didn’t love either of them and I thought I was pretty much done with Crace the novelist. Then Harvest was shortlisted for the 2013 Man Booker Prize and I picked up the entire shortlist in a cheap bundle and so here I was, facing another Crace that I wasn’t super-enthused about. Fortunately this was a much better reading experience for me than the earlier two books. Crace writes about detachment. He is cold and even clinical in his descriptions of people and their bodies. Somehow in this odd fable of rural life in the undetermined past, the detachment came together for me more than before. After going through two novels in a row, I rewarded myself with the penultimate book in Robert B. Parker’s Spenser series, Painted Ladies. The 38th Spenser book (I don’t count the YA prequel Chasing the Bear). I have been reading Spenser for 20 years and he never disappoints. Parker’s dialogue is fun and funny and he writes fight scenes as good as any I have ever read. 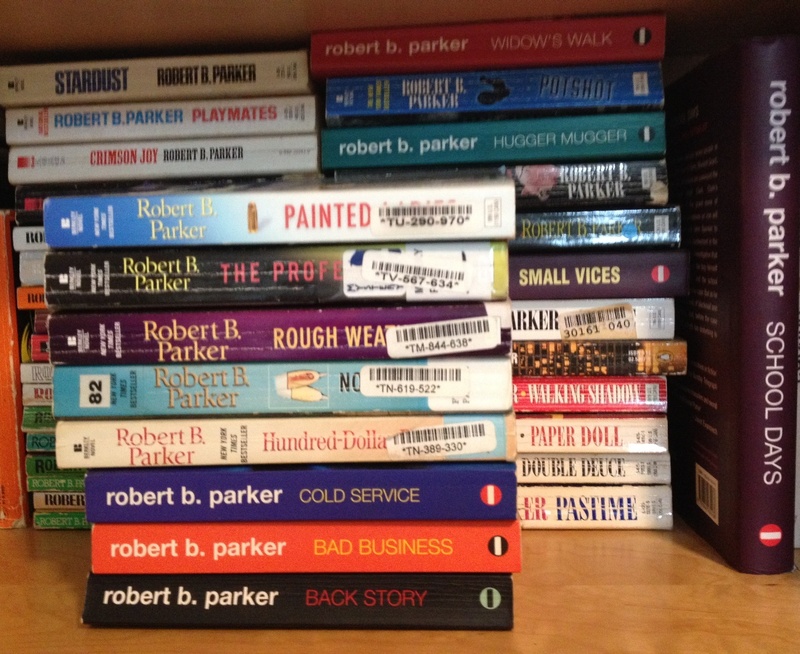 I only have one more of Parker’s Spenser books left and I shall miss him terribly. I started the Parker last night and finished it this afternoon. I always try to start my next book as soon as I finish one and so I’m now 10 pages in to The Monuments Men. I picked it up cheaply in hardback last year after seeing the trailer for George Clooney’s upcoming movie. It looked like a story I would enjoy. I’ll let you know how it goes, but here’s the movie trailer. I’m a sucker for a TV pilot. If it’s new I’ll give it a shot. It’s a terrible habit and it’s caused me a fair amount of consternation this week. These are the three new shows I watched this week. They billed this as a miniseries. Eight episodes and you’re done. It only lasted for two before being pulled from TV for abysmally low ratings. I’m sorry I watched the first one. It was deathly dull. The high point for me was trying to identify the lead actress. Turns out the accent was throwing me off. The actress seemed perfectly American, until I looked her up and realized she was the grieving mum from Broadchurch. This was absolute tripe. She’s a former beauty queen and current Texas Ranger. Seriously. If that sentence doesn’t tell you all you need to know about the gravitas of Killer Women then stir in these two facts: It’s produced by Sofia Vergara and it’s based on a show from Argentina. I won’t be tuning in for episode two. This is the kind of show I would have loved when I was younger. It’s got Sawyer out of Lost in it and he’s a special forces soldier with the internet in his head. Awesome, right? No, not awesome. It’s very, very silly. 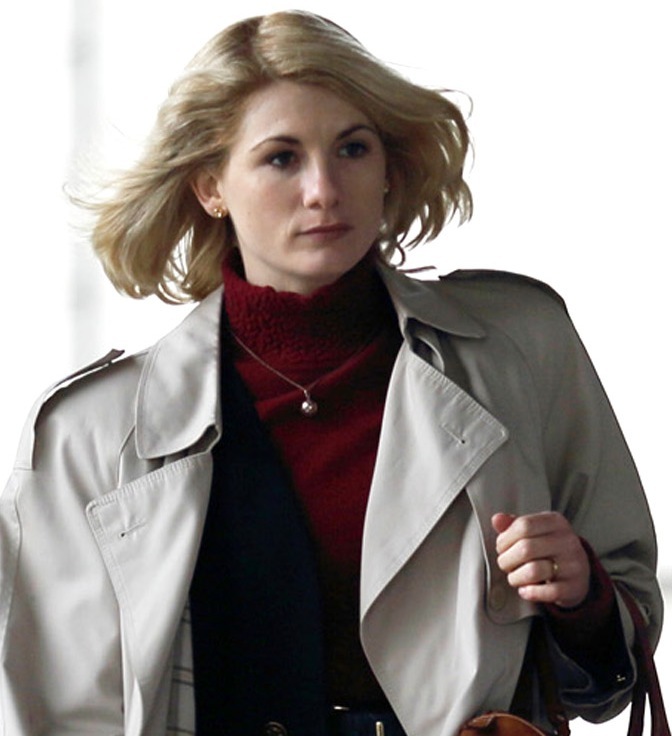 Also, the lead actress looks worryingly thin. Forget about putting the internet in people’s heads. Someone should put a decent meal in her tummy. Three new shows, all of them crap. Ugh. I also watched the latest episodes of Person of Interest and Marvel Agents of SHIELD, Charlie Brooker’s Weekly Wipe and three episodes of Pointless on iPlayer. What? I was doing the ironing. This entry was posted in 30 Years Later, Books, Frankie Goes To Hollywood, Music and tagged Pointless, Saving Mr. Banks, Spenser. Bookmark the permalink.